On Friday morning I believe Randy Owen had some technical difficulties with his presentation and did not speak as scheduled at 8:45 a.m. to 9:45 a.m. He privately showed me a photo he has of what Jackie Kennedy was given while working the fence and shaking hands with people at Love Field. The logical guess at the time that Wallace Milam found this was that it looked like Lampchop. People of a certain age remember this sock puppet character. Randy had a fairly clear black and white photo that seems to show it is not really lambchop but a white dog like animal toy meant for John, jr, or Caroline. The next presentation was by Jerry Dealey. 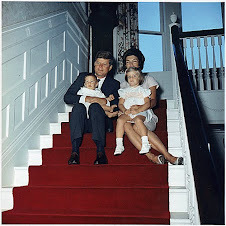 Jerry is related to the family for whom Dealey Plaza is named after. Now he knows the layout of the TSBD and some local Dallas history. But, I don't think he really knows squat about this case. He was always a lone nut kind of guy. And I was surprised to find him as a moderator on the Lancer forum. He now presents himself as a fence sitter. And he had an image of, I kid you not, Mickey Mouse, sitting on a fence. How abt. But, he was embracing too much official history for me. And it was embarrassing. He started out as though he's a contact between the conspirators, and we in the audience are supposed to figure out where to shoot JFK from in Dealey Plaza. Well, he didn't like any building in Dealey Plaza, except for the TSBD. The other buildings were dismissed for laughable reasons. If you want to talk about the TSBD, just go for it. But this BS story that maybe Oswald either on his own or with others agreed to shoot at JFK and miss him, deliberately, on purpose. And that this was supposed to help Oswald get a visa to Cuba? WTF? How is that supposed to work? Then Casey Quinlan spoke. I already said he was great. Then we had the worst part of the conference, the non-presenting presenter. Now everyone can have something happen and then can't make it for the conference at the last minute. Sorry, but tough luck. NEXT! In this instance the material should be put online at best and then there's more time for the people who do make it, and more time for the audience to ask questions and interact with the presenter, and each other. But, no. Deb presented for Greg Parker. And Larry Hancock did the same for Stu Wexlar. And they didn't do the work so they didn't know the material. It was just a dumb decision. Larry too was too much like Jerry Dealey, embracing too much official history. And the next time you are with a Lone Nutter ask about Oswald's lone wallet, you know the one that he leaves at 1026 North Beckley for Marina, and at the Tippit murder scene, and has on him when arrested at the Texas theater. When people are helping the evidence along, because, you know he's guilty, it's a good idea to suspect that's there is something going on! Then the delightful surprise of Bill Simpich. I'll do more on his presentation later. Then Lamar Waldron presented. He is the joke of these conferences. Everyone I know groans and wants to leave at the mention of his name. 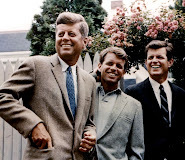 "Operation Freedom," JFK has a secret plan to invade Cuba in the Fall of '63. Oh really? He didn't invade Cuba for the Bay of Pigs, when there was intense pressure to send in the Marines and really commit American combat forces to a blatant and obvious invasion of Cuba. If JFK didn't the Bay of Pigs plan would fail. 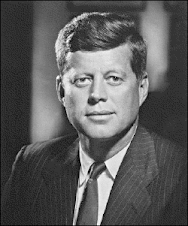 JFK told them he would not send in the Marines before the Bay of Pigs invasion set sail, and he choose failure. JFK likewise didn't invade Cuba during the Cuban Missile Crises when there was even more intense pressure to invade Cuba and he didn't do it. Now in the Fall of '63 he wants to? While he is seeking a new dialogue with Castro through private channels? Several major conclusions Lamar presents in his now two books are half-assed and totally wrong. Someone please stop him before he writes again. BTW, "Ultimate Sacrifice," refers to the money you spent buying the book and the time you spent reading it. Jim DiEugenio was a delight to hang out with, especially in the bar when he asked Ed Sherry and Malcolm Blunt, "So, who the ##ck is this Jerry Dealey guy?" Jim knows the case and nearly all its minutia so well that he see through the BS. I had fun with him, Ed Sherry, Malcolm, and Bill Simpich, and others. The conference was timed so tightly I hardly ever left the hotel. And there was nothing to eat in the hotel except to go to this little rodeo bar. So, I did not wake up at 8:30 to hear Ben Rogers. And when I did I went out to a 7 Eleven store to get coffee and then Jim DiEugenio was well into his presentation. Then Don Thomas spoke on his book, "Hear No Evil," which was not focused on the Dallas Police dictabelt like I thought it as going to be. Next was Sherry Fiester, who is Debra Conway's sister, thinks the fatal head shot came from the south knoll which is the knoll on the other side, not on Elm, but on Commerce. Few believe her, and I'm not one. She has some background in blood splatter analysis. Then Rollie Zavada spoke. 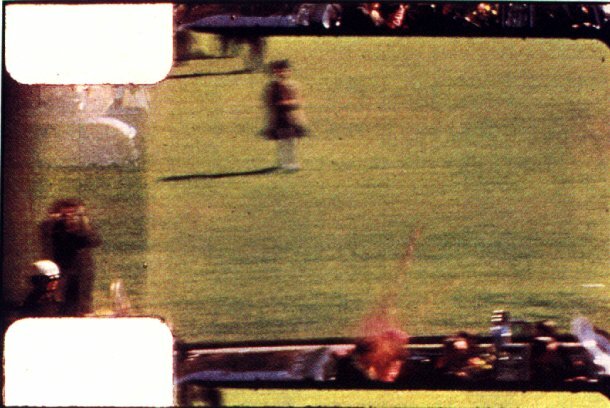 I can believe some things I see in the Zapruder film are fake things, or mislead you to false conclusions. Let me be as specific as I can. At Z313, especially in poorer copies of god only knows how many generations removed from the original, there appears to be an almost V shape of blood spray, two distinct lines which go upward, and more towards the front of the car. This bothers me. This is frame Z313 taken from LIFE magazine. This spray could have been, and very probably was used to convince someone, like everyone who bought this issue, that the fatal head shot came from behind. Remember hardly anyone saw the film as a film in 1963, and not many more for years afterwards, certainly not until bootleg copies got out from the Garrison investigation in the late 1960's, I think 1967-1968. A national audience didn't see it until 1975. I don't think there was any great fear of discovering film manipulation. Removing motion which concentrates focus on a single frame does distorts the reality. There is very little, if anything, to suggest that what you're seeing is the result of a shot from in front of the president. You don't see the motion of JFK's now lifeless body bouncing off the rear seat and crumbling over towards Jackie. And then, again, a non-presenting presenter, Randy Owen for Chris Scally. And then Jim Marrs trying to revive the Roscoe White story. I gave him a chance. There had better be some extremely new, compelling stuff here, and there wasn't. Total BS. Then there was the awards banquet. The food was awful. It's always been awful, for a place that brags about some French restaurant, an extremely well hidden one somewhere in the hotel, no one I know has ever been there, they should be able to at least consult with them, and at least come up with something easy, like, god forbid, FRENCH BREAD! They were going for a kind of Yankee pot roast, a stewed beef kind of thing. Now previously they put melted cheese on the stewed beef. I've had that given to me two years in a row. Jim DiEugenio wanted to eat elsewhere, and then go to the fight. Well, I think he got to the fight. But, boxing is not entertainment for me. The awards were sad, marking the passing of Aubrey Rike, and Ed Hoffman. The memorial video didn't work for Aubrey. They invite the surviving family members and then the video doesn't work. Embarrassing. The moment was saved by Randy Owen telling a story of Aubrey. Aubrey Rike, Ed Hoffman, and Robert Chapman, were men I had the pleasure to meet, but only briefly. All three were the finest examples of a true gentleman that you could possibly expect to find. I was proud to know these guys, even a little, and that they were on our side. They knew there was a conspiracy. They came to the conferences year after year. Ed Hoffman got to know me by sight, and would wave hello to me. And how about Aubrey Rike? 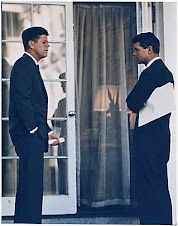 He demanded that people, Secret Service, FBI and others, stop their swearing and behave themselves, there was a fight over who was in charge, and if JFK was going to be autopsied there at Parkland, as Mrs. Kennedy was in the room. He shamed those people into behaving themselves. Jackie called him the only gentleman in Texas.